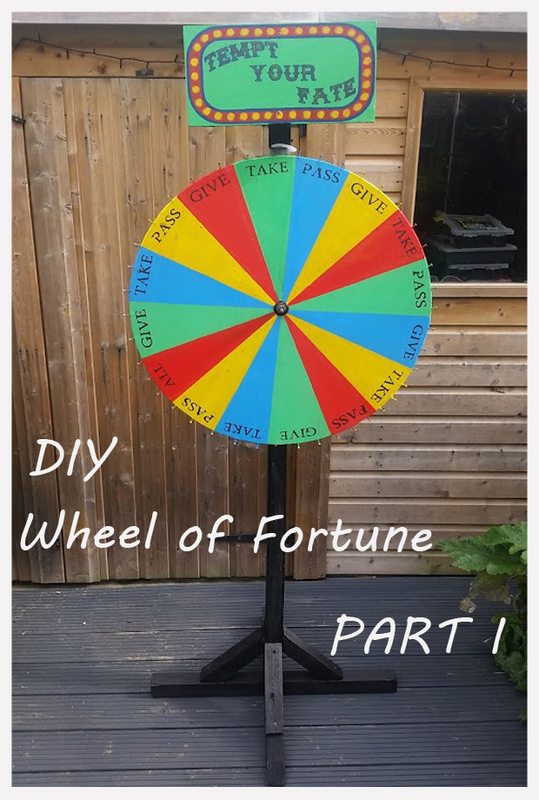 This is a great prop as it can have a double use: a drinking game for adults on one side and a prize giving game for children on the other side, all you have to do is turn the wheel the other way round when time comes. I decided this year I will only use it as a drinking game, but you can use the same techniques to make it your own design. 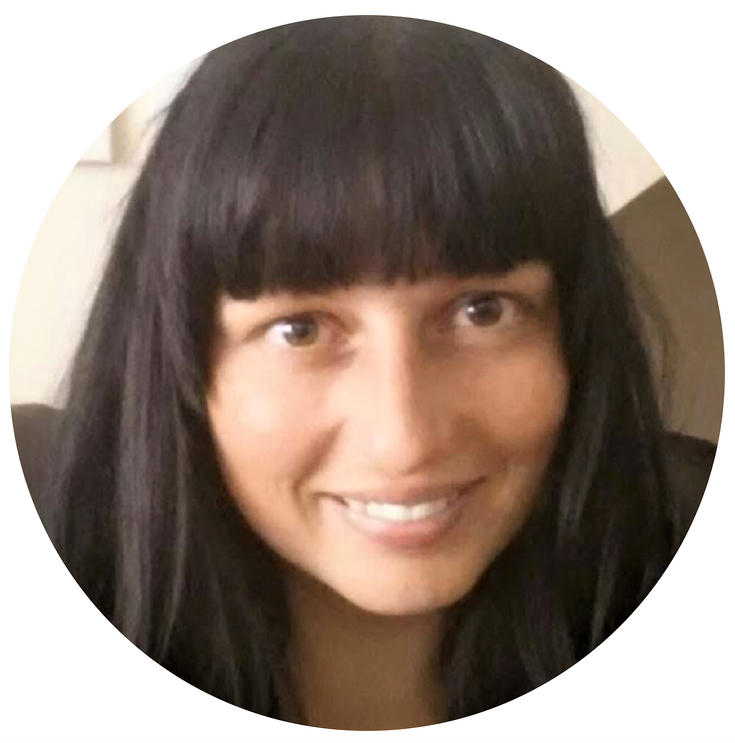 And because I am always on a budget, but also because I like to recycle, here are a few tips for the UK readers on how to get your items almost free, although I guess it might work in other countries too. 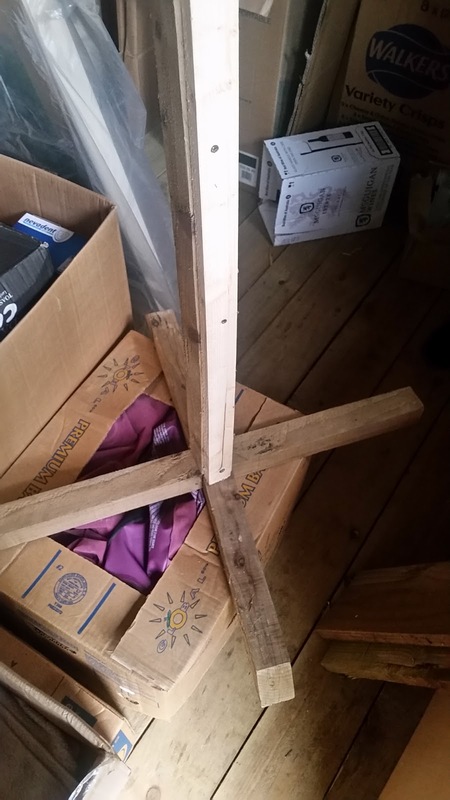 plywood and wood timber - if you go to B&Q, right at the back at the shop where they cut the sheets of wood for you, they usually have lots of off cuts big and small. Tell the guy working there to make you a price for the pieces you choose, they usually charge me between £1 and £3 depending on the size. bicycle wheel - Halfords has a lot of used wheels they throw away because they repair bicycles. Ask any of the staff working in the bicycle section for used wheels, they almost always have some at the back. Sometimes they have them all stored at the back of the shop, but it's better if you ask beforehand. Me and Mr.B built the frame from scratch but you can use an old bird's house base as a start. The 5 by 5 timber was not enough so we extended it with a 2 by 4. 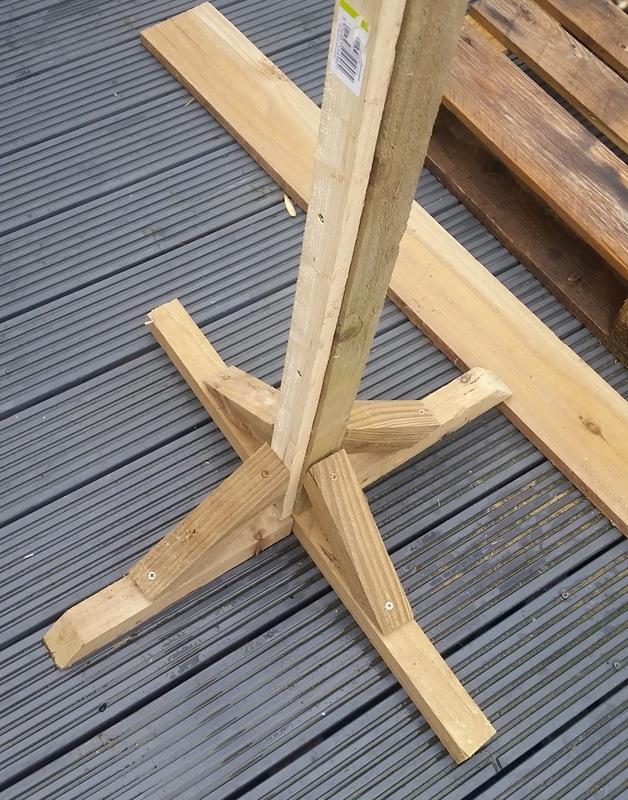 The base was made of 2 pieces of timber 70cm long each, then we attached the vertical piece and reinforced it with 4 small pieces cut at a 45 degree angle on both sides. We put the screws in at an angle and that saved us a lot of time trying to fit one piece into another (see pic no.2). Overall height of the leg is 1.85m. Next we cut the wheel spokes and detached them along with the tire leaving only the wheel hub. 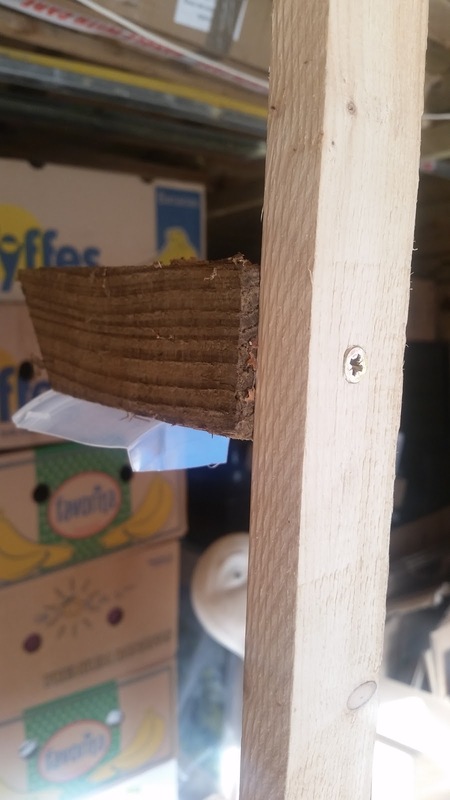 That was perfect because the mechanism turns around easily and can also be easily fitted on a piece of wood. 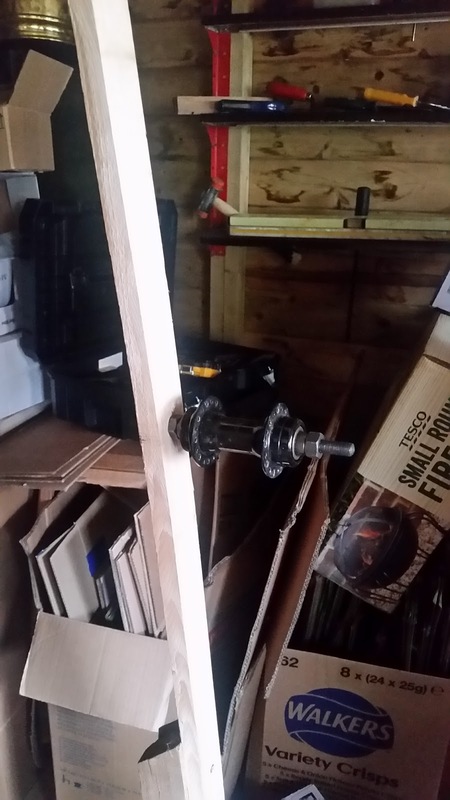 I drilled a hole in the timber to match the hub's end diameter and fitted it in. 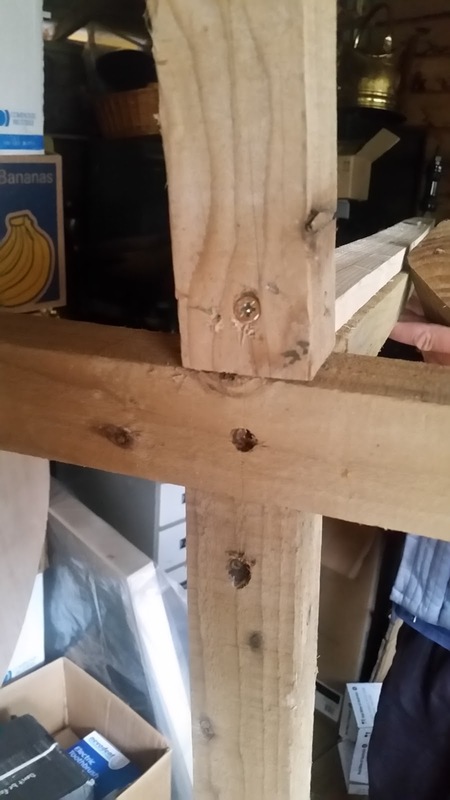 The hub had a nut already, all i had to do is unscrew it, insert the hub end through the wood and screw it back in. I placed it about 125cm high on the leg. Last on the body was the stopper. 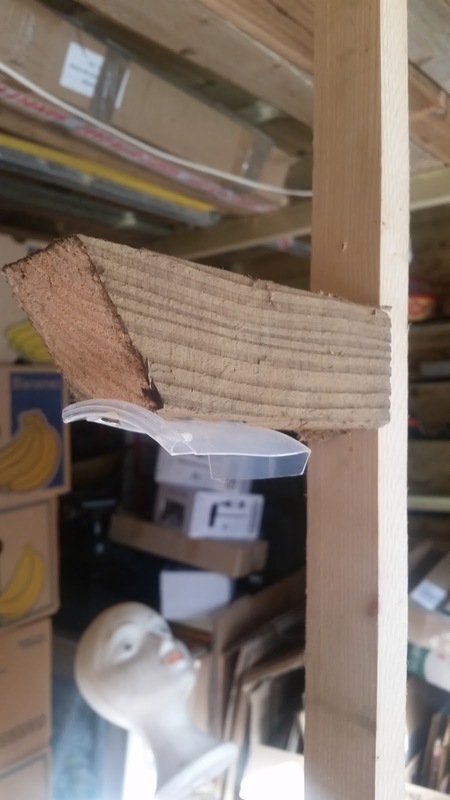 I used a leftover piece of wood, attached it to the leg about 165cm high and then I cut out a piece of plastic out of an used ice cream box and screw it to it. Make sure the plastic touches the screws in the wheel, about 1cm or so. 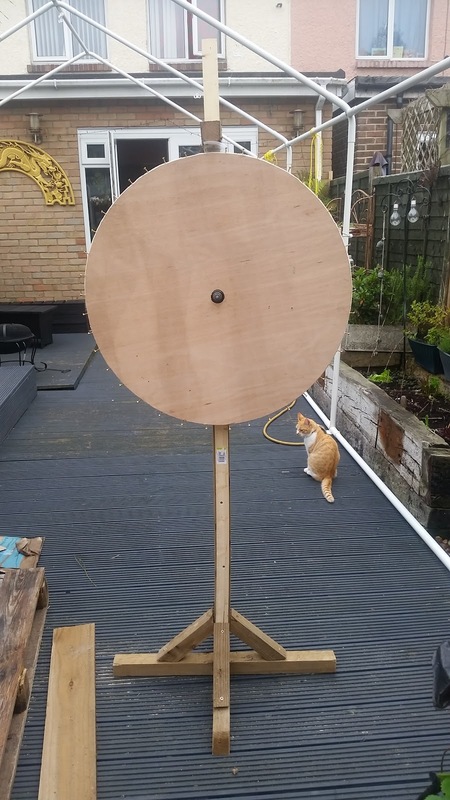 The wheel was next. 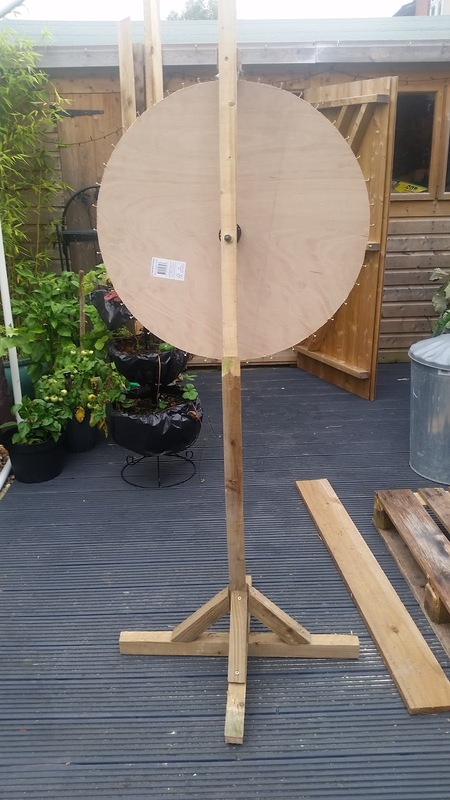 I use a piece of rope attached to a pen and drew a circle 70cm in diameter. 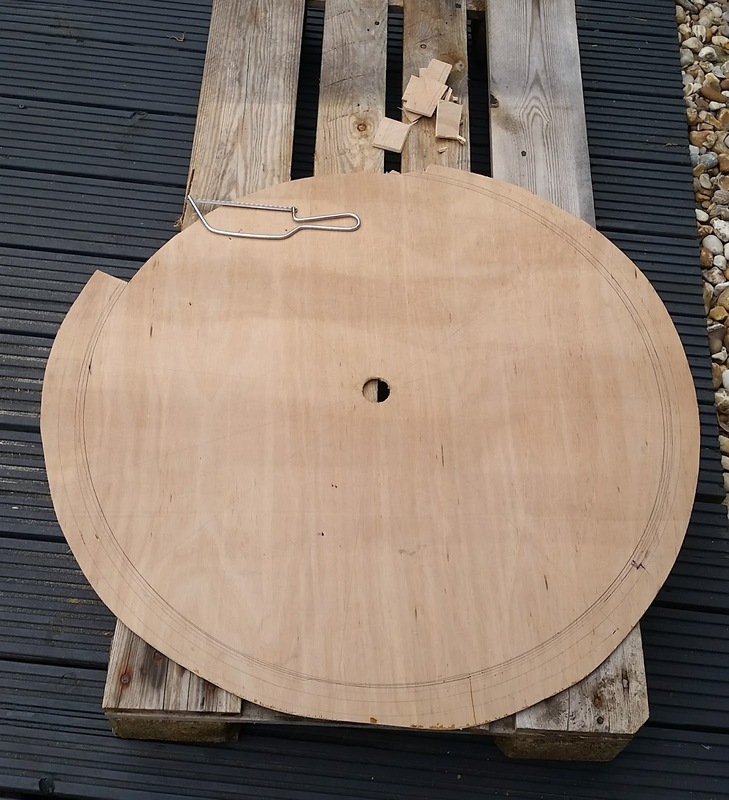 I then cut it with a craft coping saw to size. Here it is mounted on the base, back and front view. By the way, that is not my cat, it's actually my neighbour's cat but he just loves my company! 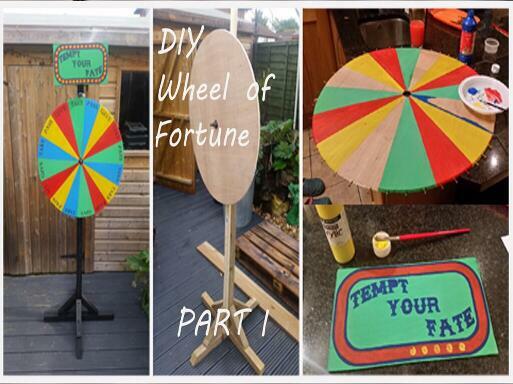 That's all for today, next, on PART 2 I will show you how I finished painting the wheel and painted and stencilled the sign above it.